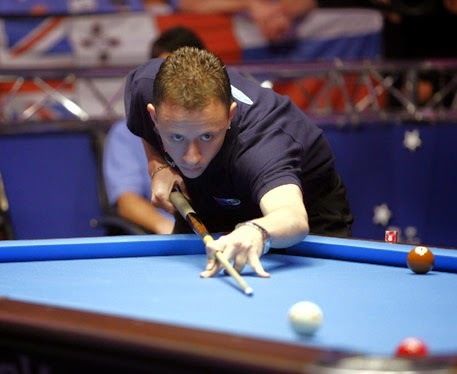 For nearly a decade now, Shane Van Boening has been the top player in the U.S. Since winning his first U.S Open in 2007, he has added two more to his resume along with countless other major tournament wins. These include multiple Master of The Table winner at Derby City, as well as a Steve Mizerak and a Turning Stone Classic Champion. With his impressive resume, talks of him being one of the best players in the world, if not the best, have swirled around him for sometime. However to a lot of die hard pool fans, especially ones outside the U.S, SVB is not even in the top 5 for discussion. This harsh criticism stems from one glaring exclusion on his resume, which is a major win overseas. In his defense SVB has not traveled overseas a great deal outside of his Mosconi Cup duties. As well most international events are 9 ball and when you look overall at his record a great deal of his wins have been 10 ball. When SVB does travel he does not look like the same unbeatable player. Often he is visibly uncomfortable and out of sync, but when he plays in the States against comparable competition he wins all the time. That is why year after year he is the top earner on the Azbilliards money list. In all sports once you have been declared "the best" or a "prodigy" there are certain expectations that come with those labels, and most of them unfair. The best example I can think of is the flack Lebron James received for his early comparison to Michael Jordan. Lebron was taunted for years about not being anywhere close to what M.J was, that is until he won his first title and solidified who he was, the best player in the game. Then almost overnight all the criticism he faced about being compared to the greatest of all time vanished. Now SVB, who has seemingly flown quietly under the radar in this tournament, has his chance just like Lebron to permanently silence his critics. He has been playing well, as he plowed through the group stage winning 9-4 against Hamzaa M. Saeed Ali (ERI) then 9-5 against Daniele Corrier (ITA). Today he had a close call in his final 64 match against Change Jung Lin (TPE) 11-9. It was 9-6 for SVB when he broke a beautiful rack like he so often does and began to pick off the balls. However an uncharacteristic mistake on the 4 ball let Lin back into the match. It was 9-9 then at 10-9 for SVB when he got out of shape on the 5 ball with only the 7 ball and the 9 ball left. He played a very good hook down table forcing Lin to jump. Lin jumped to the far side of the 5 ball to try and cut it into the corner however he hit it too thin, which caused him to carom off the 5 ball and scratch in the corner. Disgusted with his miscalculation Lin conceded the rack from there, putting SVB through to the final 32. In this single elimination format Shane Van Boening is now only a few more well played matches away from his first World Championship final. I for one am rooting for him for a several reasons. He is a pleasure to watch and I believe one of the best in the world, and I think he deserves it. I also believe a North American World Champion would bring a much needed boost here. However all that being said if he draws into the last Canadian standing, Jason Klatt, all bets are off. Go Canada!